Observed at Magadi Rd. at Ngong Hills, Kenya. Dec. 2014. This adult bug was found beneath a loose stone on the ground. 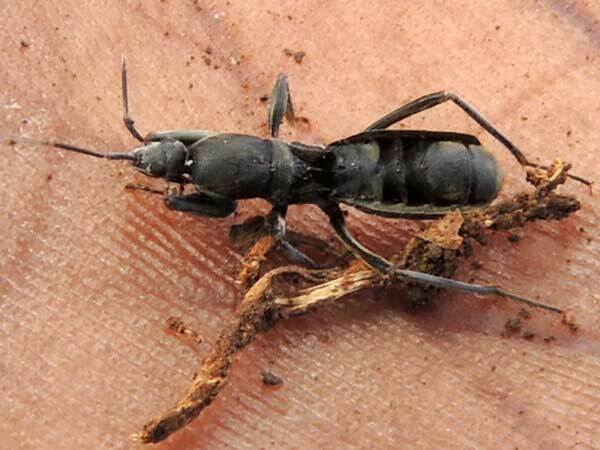 It very much resembles an ant and could be a mimic of perhaps a stinging ponerine. As the common name implies Rhyparochromidae feed on seeds, particularly those that have begun to germinate. The femura and tibiae of the first pair of legs are enlarged and may serve to hold seeds firmly.